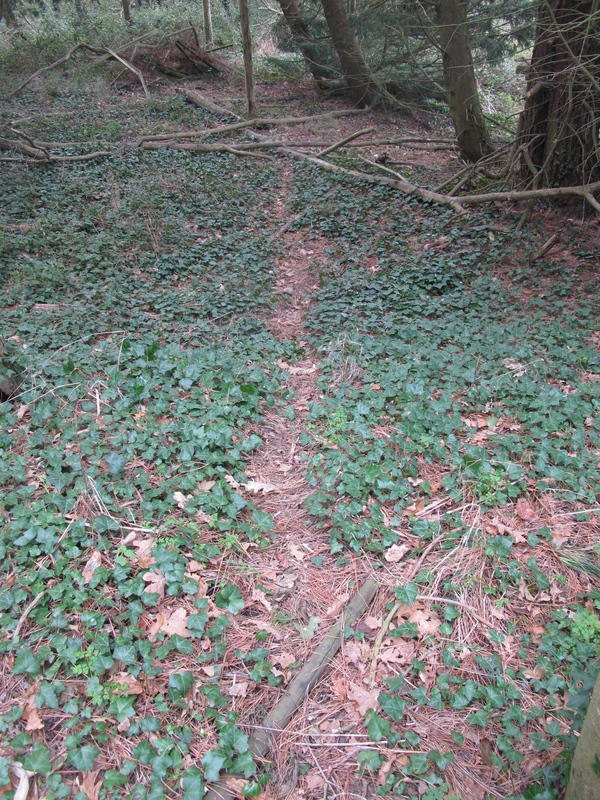 A slightly sunken lane parallels Smugglers Copse down to the river. 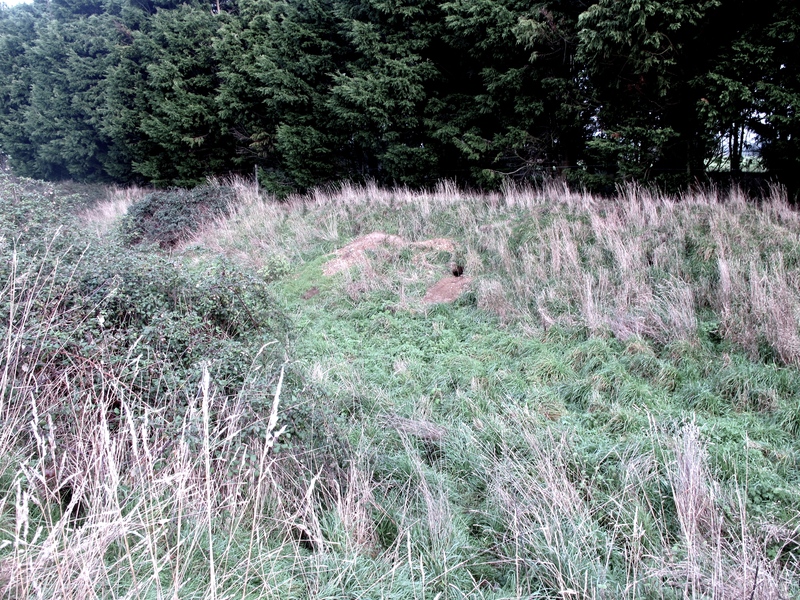 My neighbour Nick tells me a custom house used to stand at the head of this path at its junction with Inchemery Lane, but all trace (except for a kink in the road) has been lost. 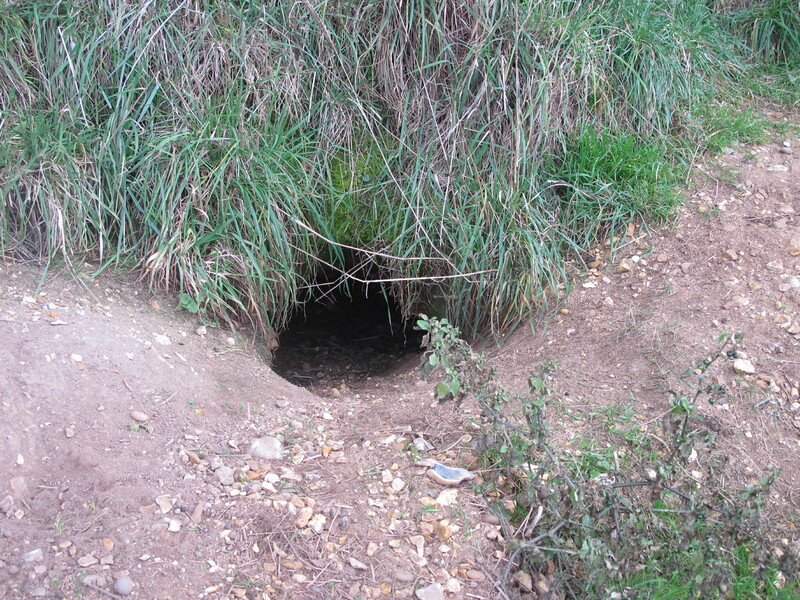 Toward the middle of the lane around 100 metres from the river, badgers have made a home in the soft embankment. 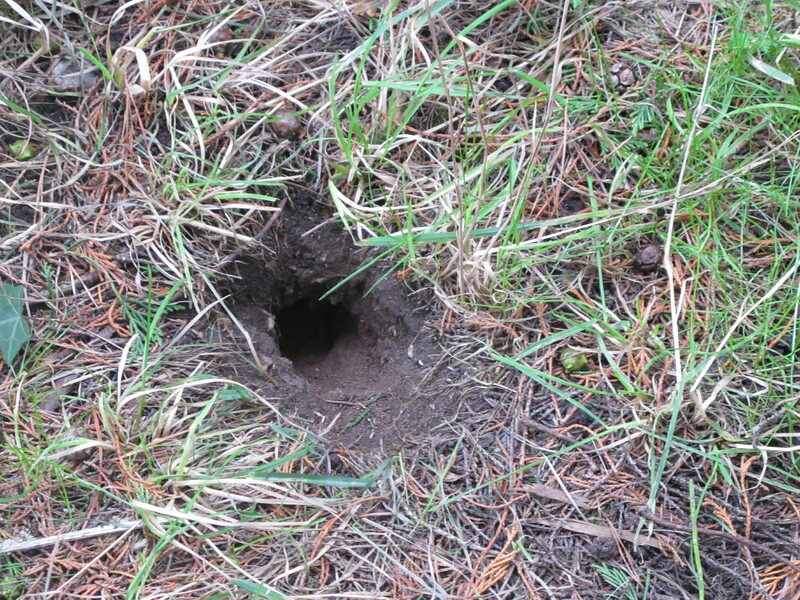 I could not find any latrines, but there were a few trails into nearby pasture that would provide earthworms for a healthy diet. 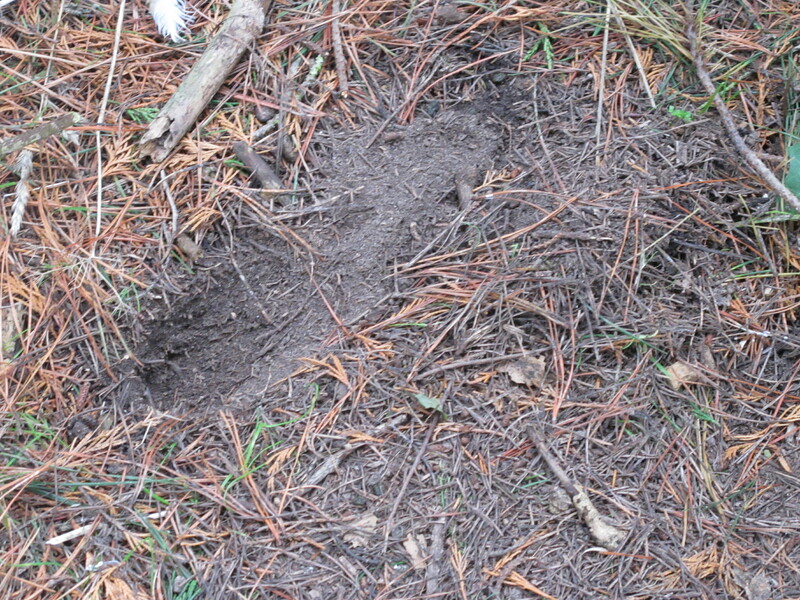 A few shallow conical scrapes were also noted under the trees above the sett which may be related.